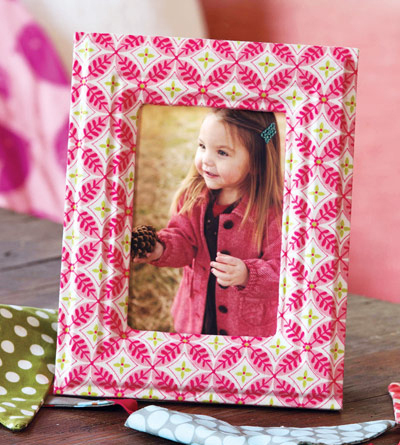 Covered in a punchy pink designer fabric, this wooden Fleur Fabric Frame holds a 4″ x 6″ photo and can be displayed as portrait or landscape. $48. Buy here.